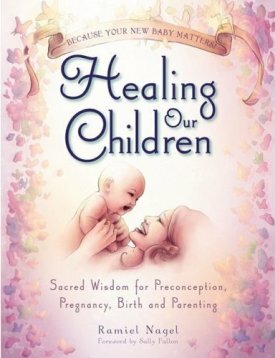 When Rami Nagel sent me a review copy of his newest book, Healing Our Children, I thought I was in for another version of Nina Planck’s Real Food For Mother And Baby. Then I started reading it. While it is true that Ramiel shares many of the same ideas about nutrition as Nina Planck, his approach to that information is wildly different. One Amazon reviewer summed up her thoughts on this book like this: “Yikes! Wacky Hippies Co-Opt Weston A. Price.” That’s not a bad summary. Don’t get me wrong. I have a soft spot in my heart for hippies. One of my favorite places on earth is the Rogue Valley in Southern Oregon, a place where migratory hippies live on public land and more settled hippies somehow managed to hold down careers, have families, and gain an air of legitimacy despite their abundant use of marijuana. While in college, I walked my campus barefoot. I even got married barefoot with flowers in my hair. And I still believe that barefoot is better. I don’t wear makeup, my hair hangs long and straight or in braids, and I try to be environmentally-friendly in my lifestyle choices. All this to say that “hippies” is not a pejorative term. In fact, it’s almost a term of endearment. Yet, despite all my affection for hippies and our shared common ground, they do tend to go to several places where I can not follow. And in Ramiel Nagel’s book, he goes there with flourish. You see, mixed into all his wisdom about traditional foods and traditional parenting practices (which is really quite good! ), Ramiel Nagel also journeys into a sort of spiritualism most would call “New Agey.” If that appeals to you, you will probably love this book. I, however, tend to be a traditionalist on many fronts — not just in foods and parenting. After all, I’m an adherent to arguably the most “traditional” Christian church — the Eastern Orthodox Church. So, for me to read the book was an exercise in patience and mental discipline. I felt like I had to wade into strange waters and sift through sand to find the nuggets of gold. That said, there is a lot of gold within these pages. First, I was impressed by Ramiel Nagel’s treatment of Weston A. Price’s research. The only other place I’d seen it so clearly laid out, pictures and all, is in Dr. Price’s book, Nutrition and Physical Degeneration. As such, you’ll find in Rami an advocate for the nourishing, traditional practices that have supported fertility, pregnancy, childbirth, and parenting for thousands of years. The book’s description claims “there is a natural way to reduce your risk of birth defects by 1602%, miscarriage by 640%, premature births by 315% and reverse infertility in 78.4% of cases.” I, for one, believe it. Next, I appreciated Rami’s attempt to move beyond nutrition and approach these issues holistically. It’s not simply about what you and your child eat, but also about how you live. Do you recieve your food with gratitude? Do you act in love, kindness, and gentleness? Do you respond in faith and hope? What kind of environment are you creating around you? Is it toxic or nourishing? Are you guarding your heart? The strength of Rami’s spiritualism is his vision for us as whole beings. Body, mind, and spirit all have deep and lasting bonds which can not be easily severed. If such an idea rubs you wrong, simply meditate briefly on your own experience. Surely we’ve all — at some point — made ourselves physically sick with worry, exhaustion, or anger. Health, in Rami’s book, isn’t just about being free of physical illness. It’s about emotional health, spiritual health. It’s about being more fully human. Well, that thoroughly depends on who the reader is. If you find New Age spiritualism offensive and demonic, stay away. If you, like me, simply find it burdensome but are still able to discern the pearls of truth within it, then judge for yourself whether or not the effort is worth the treasure you’ll uncover. And if you, like Ramiel Nagel, embrace a spiritualism that calls forth “deva spirits” and the divine feminine, go buy a copy today! Yep, I’m a bit of a hippy too but in the “lets be good stewards of the earth and look to God’s word for answers” sort of way. That was an honest review. Now I’m intrigued! I’m past having children but my daughter-in-law might be interested in this book! Kelly — Yes, thank God for trailblazers! Shannon — Right. I think you and I are in the same camp on that one. I’m not sure I could stomache this book, so thank you for being honest. But I have had 3 preterm babies, 2 very premature, and I am very interested in how food is related to this. Where can I find more about this? I am pregnant with number four and at 26 weeks I am contracting more than I want too. My first son was born at 27 weeks and I don’t want to do that again!! Any suggestions you have on this topic would be GREATLY appreciated! Again, thank you for the “honest” review! Hi Kristen, How I love your honest positioning in this book review! I wish I would see more of this. I believe: there is not such thing as objective reporting. So can we (newspapers, broadcasters etc) stop pretending to be objective and just state up-front what we stand for? 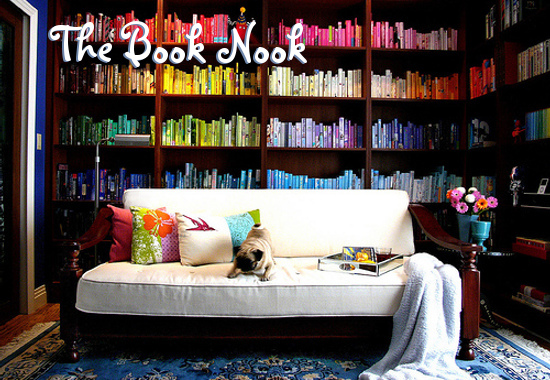 And let the readers judge for themselves. Bloggers are good for being up-front about their personal beliefs and I Love It. It is our strength. To me “hippy” is a compliment: it describes experimenters who dare to think and live outside the box. I also have an antenna that registers: uh-oh bull overload. Which is highly subjective! Mostly I think it does not matter what identity people take on – most of us are a mixture – and given a choice between a kind wise Christian or an abusive deluded New Ager, I know which one I would choose. I just have to ask: what does the book say will reduce miscarriage risk by 640%? Are you able to sum it up in a few quick words? We are expecting again, and I am naturally wanting to do whatever possible to reduce our miscarriage risk. Never had a miscarriage before, but certainly don’t want to have one now. Christina & Lindsay — He approaches this from two angles. The first is nutritional, and he basically prescribes the traditional fertility diet foods: lots of organ meats, egg yolks from pastured hens, fatty fish, shellfish, raw or fermented dairy, fish eggs, and healthy fats like lard, tallow, coconut oil, ghee, olive oil, & butter. If these foods are difficult to get for you, then he recommends supplementing with fermented cod liver oil taken in conjunction with high vitamin butter oil and freeze-dried glandulars. He also recommends absorbing nutrients through your skin by rubbing on good quality coconut oil, olive oil, shea butter, etc. Along with this, you’re to avoid all the nutritionally empty foods like sugar, grain, and unhealthy fats and environmental toxins. The second is emotional/spiritual and involves removing stress through prayer, meditation, yoga, massages, etc. About fish, I feel your pain! Sadly, fish is the basis of many, if not most, traditional diets and YET our oceans are so overfished and fish farming can be so harmful to the environment. Then you compound the problem with pollutants like mercury and it’s just a mess. Many of the benefits of seafood can be got from shellfish. I’m not anywhere near a fresh source for oysters, clams, mollusks and the like but if I were you could bet I’d be learning how to eat them! I read a few years ago that Wild Red Alaskan Salmon was still mercury-free for some reason. But then I read shortly after that that although the salmon is mercury-free, it is infested with lice (must have been farm-raised). YUCK. I have thought about purchasing this book, so I appreciate this review! Did he have very specific recommendations for how to eat? Thank you so much for taking the time to reply to my question! When you say stay away from grains I am assuming you mean refined grains, right? Thanks again! Although I would not call myself a hippie, nor do I necessarily identify with “new age”, I would definitely call myself spiritual and in no way religious. A crunchy left-wing Californian. I even used to usher for the Grateful Dead in San Francisco when I was in college. That said, here’s what I think: we in this real food movement are all so different. Some of us are very right wing, some of us are very liberal. Some of us are Christian, some are Buddhist, some are Muslim, some are atheist. I guess my point is it doesn’t matter. This is why I try to leave politics and religion out of my blogging and any writing I do about real food. I have found that when I inject a political or religious statement or belief, while some people out there may agree with my position, many will not and they will feel alienated or offended or whatever. I wish we could all be more accepting of the diversity and less divisive. Who cares if we don’t go to the same church or worship the same God? We can still break bread together. Anyhow, I haven’t read the book. Maybe Nagel should have left his spiritual beliefs out of this book, too. I’m a crunchy Californian but some of that stuff can get on my nerves, too. I agree with you — I think you have to be very careful about bringing your faith or religious beliefs into a book about nutrition and raising healthy children. One of the things I appreciate about Weston Price’s book, “Nutrition & Physical Degeneration” and Sally Fallon/Mary Enig’s book, “Nourishing Traditions” is that both of these books embrace diversity among very different people around the globe. That’s the whole idea — we are all so different and yet we can all agree what nourishing food is. I do very much appreciate your honesty — as always! If you read Nina Plack’s books, she heartily recommends fish for children’s development — even with the mercury. She says the benefits of eating fish outweigh the harm of mercury. Dr. Campbell-McBride, author of the GAPS book, also said we can eliminate mercury and other toxic metals from our system if we have adequate good microflora in our gut. You can order fish online from companies like Vital Choice — they ship it right to your door. US Wellness Meats sells their products, too. See Kristen’s resources page. And I agree w/ Kristen – the nutritional benefits of shellfish, mollusks in particular, are so enormous. We try to eat oysters and/or clams/mussels/shrimp/crab at least once a week. If you can’t get it fresh from the ocean (we are lucky to live near the coast), you can find good seafood frozen at most health food stores. I often find jarred or canned oysters at stores. A good recipe for canned oysters is oyster chowder — or you can add canned oysters to risotto or pasta. To those of you talking about the benefits of fish outweighing the mercury – I urge you to rethink this conclusion – properly interpreted hair analyses over the past 40 years have shown us very clearly that all fish and seafood (except for sardines) is highly contaminated and makes it impossible for the body to heal – most of us are already born with a toxic heavy metal load passed on congenitally from our mothers – add to that the inevitability of our toxic load increasing due to the unprecedented toxic world we live in – and I would have to say, based on scientific evidence, that this is incredibly harmful advice. I will say that I am a huge fan of Ramiel Nagel’s book “Cure Tooth Decay” which helped me remineralize several cavities at home (verified by my dentist) in a matter of weeks/months. But I will also say again that we live in unprecedented toxic world and that those of us alive and trying to figure out proper nutrition today have to take this into account – and the deepest and most healing protocol I have found that actually takes all of this into account and WORKS! is Nutritional Balancing, which is what led me to becoming a practitioner. So please, I urge you to come check NB out, and get yourself a hair analysis before blindly following any diet. Instead of fumbling around in the dark and wondering if your diet/supplements are improving your health, get a hair analysis and turn on the lights – it will give you an incredibly accurate snapshot of your body chemistry, down to your cellular level, and tell you exactly how healthy you currently are, and what your heavy metal and chemical toxicity is. www. Butter Health . com And please contact me with any questions or concerns you may have! Oh and Sally Fallon says the same thing as Nina Planck — the benefits outweigh the risks. You can also avoid mercury by eating lower on the food chain when it comes to eating fish. Eat smaller fish like sardines and anchovies — and shellfish & mollusks. Avoid swordfish and bigger fish that eat other fish. I’ve been reading your blog for several months now and have not commented before, but just wanted to say Thank You!! What a great book review, thank you for you honesty and your ability to take all of us from various backgrounds into account w/o judgement. I’m more the “new age” spiritual person and I truly appreciate your blog and the fact that while we all fall on various parts of the spiritual / religious spectrum we can celebrate our shared commitment to real food. Again thank you! Cheeseslave — Thanks for your response! It’s interesting to me to hear that there are some health and nutrition folks that are actually promoting eating fish in spite of the mercury. Why not just take a quality fish oil or fermented cod liver oil supplement — thus, reaping the benefits of the fish without the side order of mercury? I just think that mercury is such a fierce neurotoxin. It lodges in the kidneys, brain, lungs, liver, and nervous system, as we all know. It has a strong connection to Candida overgrowth — which, in turn, is just a massive health destroyer, in my opinion, leading to a whole host of other diseases. I appreciated Cheeseslave’s thoughts about how diverse people who eat real food are and who we can still break bread together (soaked/sprouted and/or gluten free?). I was raised athiest by a scientist mother and gravitated towards my own sort of spirituality, in which I most definitely pray to a single god, mostly giving thanks. I never thought I’d end up engaged to a new-agey guy, but I am.. I found that we share more than we don’t when it comes to core values. We both believe in living as close to nature as possible. We just thank different gods in different ways for this. Thank you for your work in this field. My husband & I read both the Nourishing Traditions Book of Baby & Child Care and your book, Beautiful Babies, 2 years ago, and implemented at that time the diet & lifestyle changes you recommend, based on the WAPF protocol. We had already been on a mostly-WAPF diet for about 16 months, but kicked it up a notch with more traditional fertility foods then. Unfortunately, we have gone through intense heartache since starting to actively try to conceive our first child about 14 months ago. Our lowest point came last week when we miscarried at 11 weeks after finally getting pregnant on our 16th try. I just turned 33, so age should not be the issue. And we’ve been strict adherents (my husband struggles a little from time to time) of the WAPF diet. Now, I’m trying to figure out if there is any research on miscarriage in traditional cultures to uncover any hidden wisdom. Of course, our OB has no answers about the miscarriage, and every site listed in a G00gle search just says it’s really common and there’s nothing you can do to prevent it. But I suspect traditional peoples had some insight about this. Do you have any sources or info you could pass along toward this end? It would be so very appreciated. We just want to make sure that we’re not putting completely innocent life at risk by trying to conceive (aka: the dead-end generation of Pottenger’s cats). We are faith-filled God-fearing protestants, and feel a responsibility to make sure we are able to properly steward the blessing of a new life, regardless of whether it’s been born yet or not. God bless you.